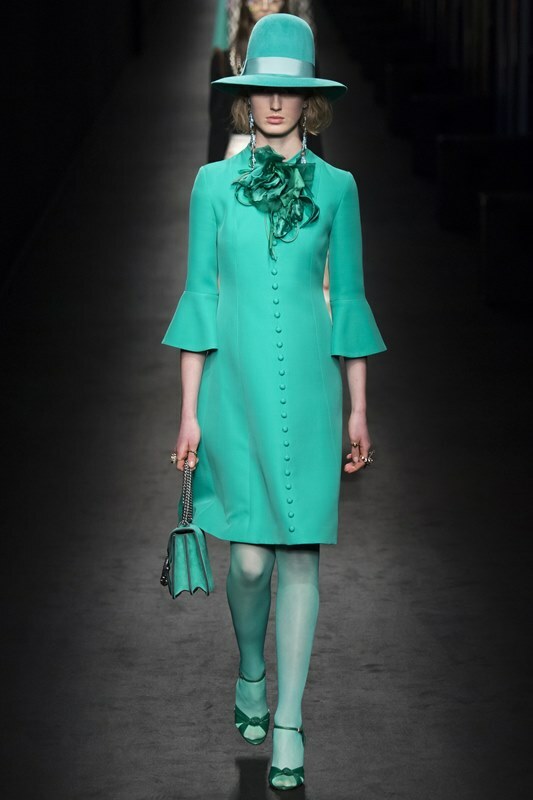 Bright stockings as seen in Fall/winter 2016/2017 Ready to wear by Alessandro Michele for Gucci. Colorful tights make a stylish piece for fall and winter and it has become hugely popular. 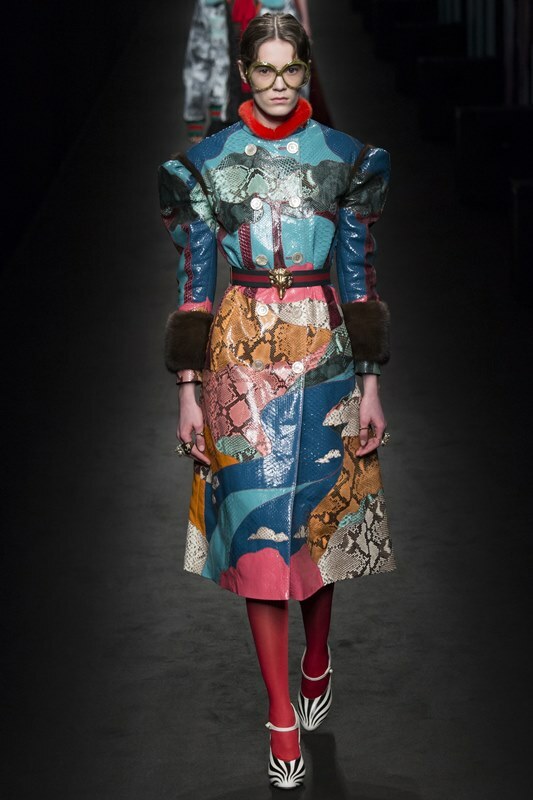 We could see colorful tights in Gucci Ready to Wear Fall Winter 16/17 and get some inspo how to wear colorful tights to look their best. 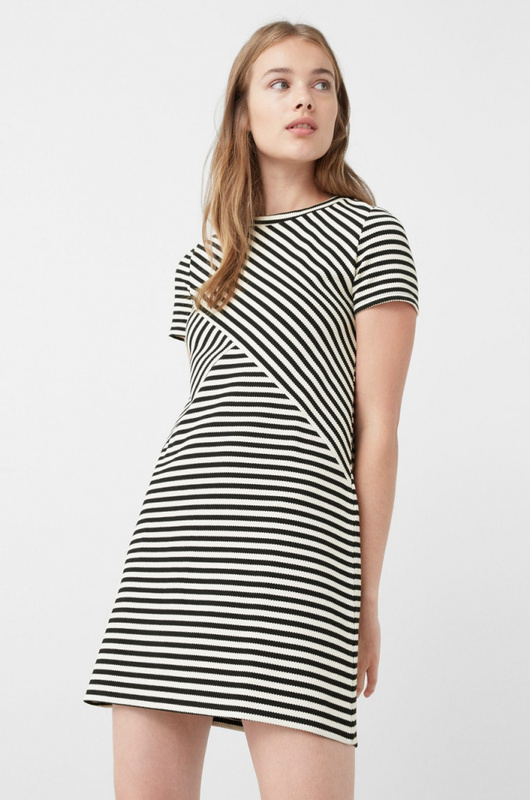 From the runway looks you can say that there’s a lot of retro elements but also modern features. In this post, I’d like to show how to wear colorful tights and combine them with the right pieces. However pretty bright tights look on models, they are not an easy thing to style. Because you don’t want to end up looking like wearing a Halloween costume on a normal day. The bright colorful tights can cause tricky effects to your legs and the lighter color shades do really look good on very slim and straight legs only. On the other hand, darker shades can help shape your legs thinner and longer. Colorful tights look pretty when styled into a girlish outfit with minimalistic pieces. 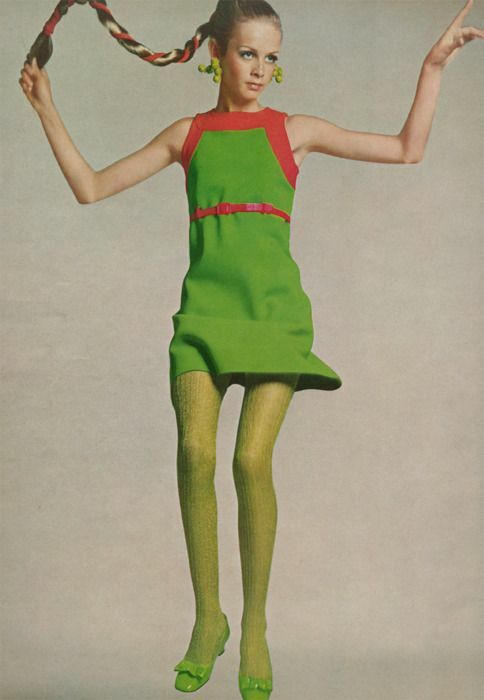 Check out the Twiggy dress, for instance. 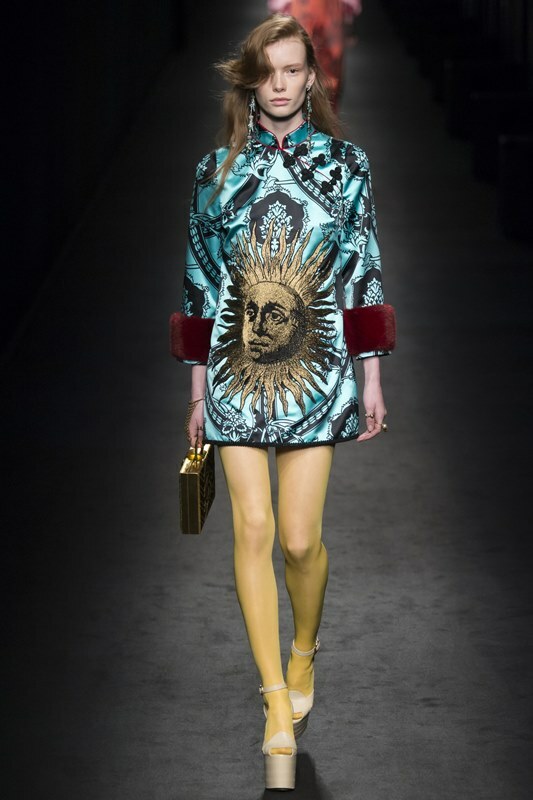 Wearing very mini, sometimes combined with bright tights, the style of this icon was very feminine and chic. 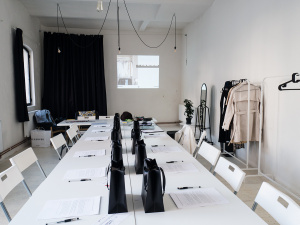 Pick a very minimalistic skirt or dress – a leather one looks cool as well, to enhance and contrast the colorful tights. Wearing bright tights you get attention to your legs. Thus, pick the right shoes carefully as well. 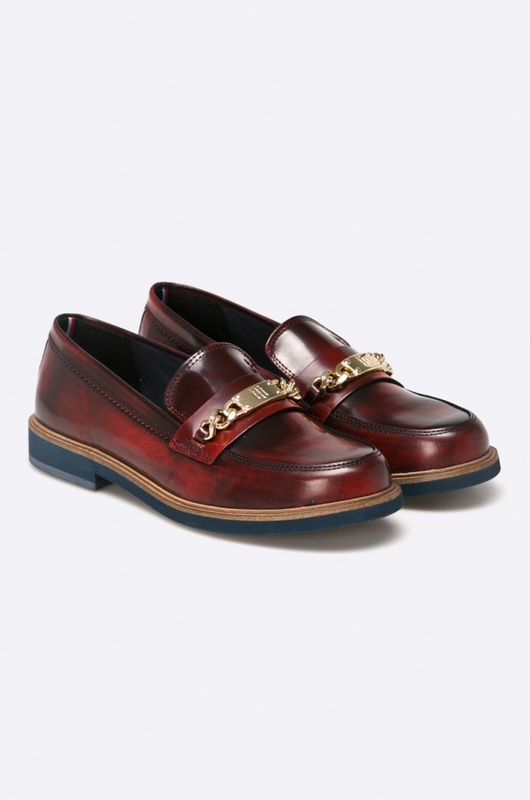 To get the school-girl look, a pretty pair of Oxford shoes will be the right choice. If you are not one of the tallest, it will be a good idea to wear your colorful tights in high heels. Remember to pick a nice shoe color and try to avoid color contrasts between the tights and the shoe since it could shorten your legs.